Close to the center of Sydney yet beautiful with a country lifestyle. See the weather for today Camden Weather. The area had long played a role in Australia’s wool, wine and wheat production, indeed right from the very beginning with the home farm of the Macarthur family situated here and dating back to 1805. The First Fleet that landed in Sydney Cove January 26th, 1788 had brought along with them two bulls and four cows. Much to the disappointment of the early settlers, the bovines escaped in May that year and made their way over 50 kms south-west. The herd thrived in the region, and seven years later they were found by a convict hunter, numbering 40 cows and two huge bulls. The then governor of the fledling colony, John Hunter, personally went to see them and saw for himself the lush grass and beauty of the area and named the area the Cow Pastures, now Camden. Belgenny Farm, built by convict labour on the original grant of 5000 acres to the Macarthur family by Lord Camden in 1805, pioneered many of early Australia’s farming traditions. The Macarthurs planted wheat and grapes, experimented with horticulture and literally began Australia’s great Merino wool industry. You can visit Belgenny Farm to gain an interesting view of early Australia history and its agriculture. Phone +61 2 4655 9651. Camden Park Estate, located nearby, is the historical stately home of the Macarthurs and is can be visited on the 3rd weekend in September. There is a lovely heritage walk taking in the historic buildings of the Camden township. Enquire at the Camden Visitor Information Centre. Camden Museum, at 40 John Street has been extended and is open 11am to 4pm Thursday to Sunday. It has an extensive local history display and a number of historical publications available for purchase. 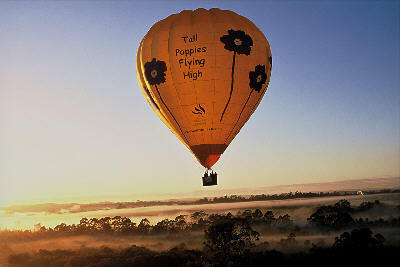 Camden Airport offers scenic flights including flights in Tiger Moths, Chipmunks and Ballooning. There is horseriding and bicycling park tracks at the Bicentennial Equestrian Park tracks. Gledswood Homestead and Winery, is a collection of colonial buildings originally owned by the Chisholm family in 1827. There are sheep shearing demonstrations in the mornings, hard working sheepdogs guiding sheep around the paddocks, boomerang throwing and cow milking to be done. Phone: 061 2 9606 5111. More about Camden Things to Do. 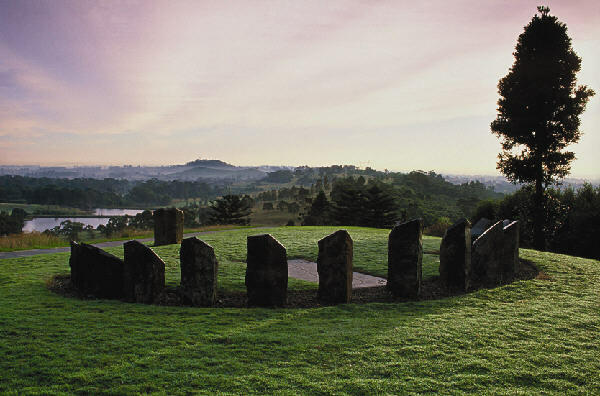 Mount Annan Botanic Garden is Australia’s largest botanic garden with more than 4000 species of native plants. The garden, covering 416 acres, features five picnic areas with BBQs and shelters. You can visit their gift shop and their nursery. For the family, there is a children’s playground, walking and bike tracks, guided tours, sculptures and a restaurant/cafe. Phone: 061 2 4648 2477. Not far from Camden is historical Campbelltown NSW, part of the Macarthur Region of NSW. 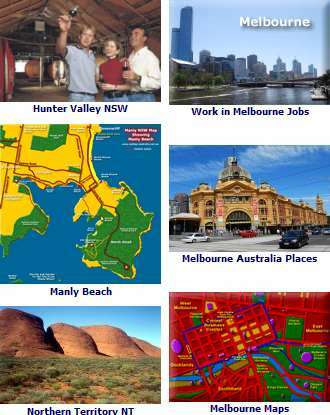 Sydney and Australia accommodation - Australia Hotels.